Ford Wednesday got the Media Tour engines started with Richard Petty Motorsports kicking off Day 2 of the Charlotte Motor Speedway Media Tour presented by Technocom. The team introduced its newest driver, Brian Scott, who will help keep the Petty family legacy alive by driving the No. 44 car. Albertsons Companies and Shore Lodge, both Idaho-based companies, will adorn the hood of the No. 44 Ford for 16 races and have associate placement for the remaining 20 races. Also a native of Idaho, Scott said the sponsorship pairing is a great match. 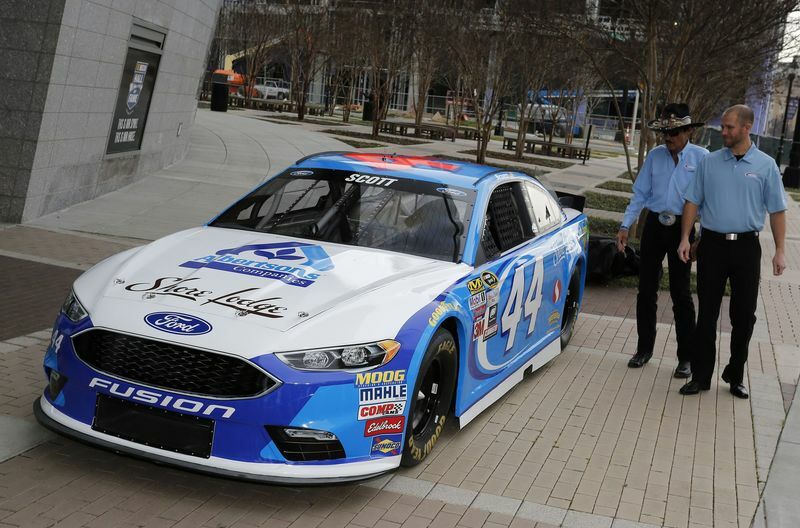 Lance Brown, VP of Marketing Services and Communications at RPM, announced that Smithfield Foods will again partner with Richard Petty Motorsports in 2016. SmithField Foods sponsored a film for NBC Sports in 2015 called "Chasing 43," about the legacy of Richard Petty. and plans to sponsor an additional platform in 2016 to air on NBC, with more details to come. RPM CEO Brian Moffit announced that all of the sponsors from 2015 are renewing their contracts with RPM for 2016. 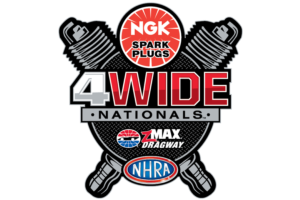 U.S Airforce, STP, Florida Department of Agriculture, Twisted Tea and Goody's are just a few sponsors that will be returning in 2016. RPM is making a variety of improvements for 2016; that include building their own chassis and building faster cars with better bodies. RPM has set an important goal of consistency for the 2016 season, the team believes improvements to the cars and the new team members will help achieve their goal. Veteran RPM driver Aric Almirola is "more excited than ever" going into 2016. He believes the inconsistency of 2015 is what kept him out of the NASCAR Chase last season. Almirola missed the Chase by just 11 points in 2015 and says the new adjustments to the cars, as well as the RPM team will allow for a more consistent 2016. As with all teams at this time of year, Roush Fenway Racing is sharing the same level of excitement for the upcoming season that is flowing throughout the NASCAR community. But, coming off one of the more disappointing Sprint Cup Series seasons in recent memory, Roush Fenway Racing revealed a certain level of confidence and optimism throughout its organization on Ford Wednesday. And should those convictions spill over onto the track, RFR just might find itself competing for a championship. "We, as an organization, were trending in the right direction at the end of last season," said veteran driver Greg Biffle, who is looking to become the first driver in NASCAR history to win all three national touring championships. "Everyone is on a mission to make our cars better, faster. There's a great energy right now." Biffle is the most experienced of Roush Fenway's drivers. Ricky Stenhouse and Trevor Bayne are entering their fourth and second full-time seasons, respectively, while 2015 XFINITY Series champion Chris Buescher will enter his rookie season in the Sprint Cup Series driving as part of an enhanced technical alliance between Front Row Motorsports and Roush Fenway Racing. Ryan Reed and Bubba Wallace will vie for the XFINITY Series title. "I won't have a chance to defend that (XFINITY) title, but we've got a great bunch of people and a lot of good things happening here," Buescher said. "We're going to go out and run as well as we can, learn every week, and try to earn a spot in the Chase and win that Rookie of the Year title."